He was a giant, both politically and physically, who dominated the Zimbabwean stage for half a century. In 1954 He Resigned from the Rhodesia Railway and started his own Business as an auctioneer and insuarance agent n Bulawayo becoming a 1st African to own such a venture. 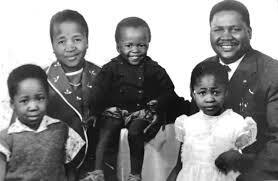 Known affectionately as Umdala Wethu – our old man – his life was marked by the struggle for independence and the introduction of majority rule. Born to black missionary teachers in Matabeleland in 1918, he saved up for his education in South Africa, where he met Nelson Mandela and other regional nationalist leaders. His Funeral had the largest crowd ever seen at the Heroes Acre with an estimated 100 000 mouners incluiding foreign dignitaries,thronged the national shrine. He returned to Bulawayo in 1948 and became a trade unionist campaigning for better pay and conditions for black railway workers. 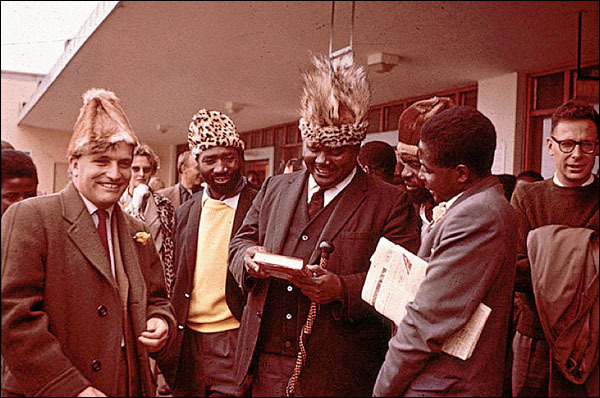 The leader of a number of organisations during the 1950s and 1960s – which were all banned by the British colonial authorities – Joshua Nkomo founded the movement which became most associated with his name, Zapu, in 1962.But the Zimbabwe African Peoples Union was also banned immediately. Father Zimbabwe as he is affectionally known was born and raised in rural Matabeleland, the third of seven children. His early years were spent shepherding the family’s cattle. His father, a leader of the London Missionary Society, put a high value on education and young Joshua proved to be an outstanding student. He completed standard six and became a school teacher. In 1942 he went to South Africa to continue his education, initially to study carpentry. Eventually, he earned a diploma in social science from Jan Hofmeyr School of Social Science. When, in 1949, he returned to what was then the British colonial territory of Southern Rhodesia, he became the first black African to be employed by Rhodesia Railways as a social worker. He continued his studies, through correspondence school, and won a bachelor of arts degree in economics and social science. 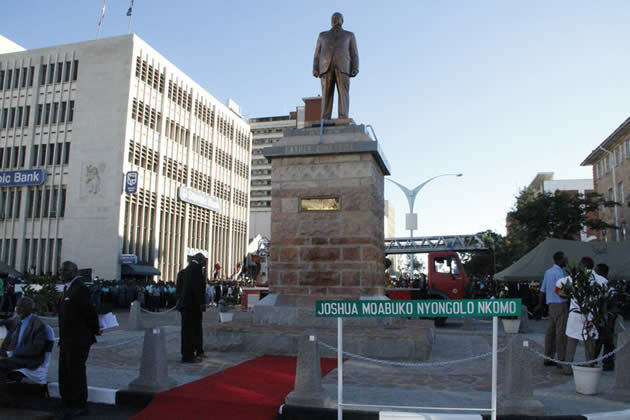 But Nkomo’s true calling was the politics of African nationalism, and that career began in 1951 when he became secretary of the Railway African Workers’ Union. 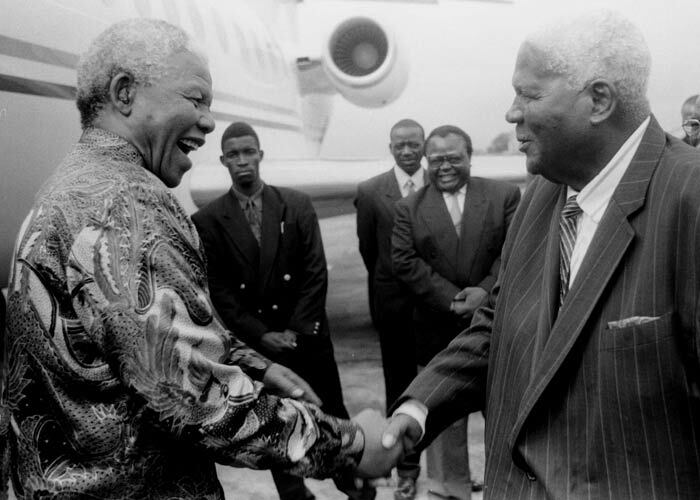 Tall, handsome and with a commanding presence, eloquent in both Ndebele and English, he quickly made his mark. He was soon elected president of the Southern Rhodesian African National Congress (ANC). He came to international attention when he stomped out of a London conference to protest at its endorsement of the Central African Federation, a fanciful piece of map manipulation designed by Britain to bring together the colonies of Northern and Southern Rhodesia and Nyasaland (now Zambia, Zimbabwe and Malawi). Next articleCan you Identify Them?